High schooler Koyomi, now a vampire after his experiences during Wound Tale, hears rumours of other supernatural activity and offers to help. 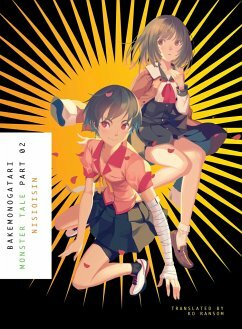 There are few authors in Japan who have reached the heights of success as NISIOISIN. 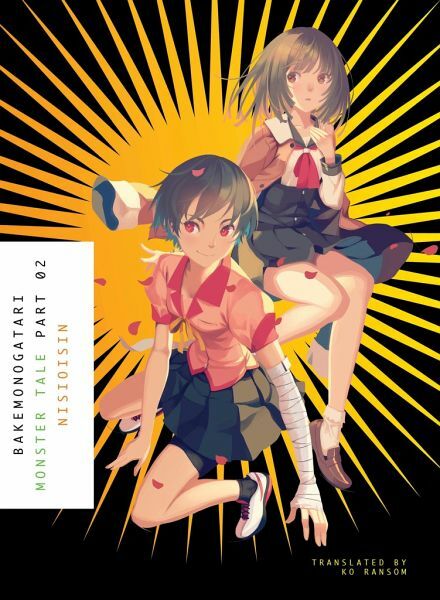 Born in 1981, NISIOISIN left Ritsumeikan University in Kyoto, to pursue a career in story-telling. Initially he had ambitions to be a comic artist, but when he realized his art was not up to snuff, he began to focus on his writing. He would eventually win the 23rd Mephisto Prize, for Kubikiri Cycle (Del Rey), acknowledging his talents as a mystery writer, at the age of 20. Since his debut in 2002 he has penned more than 50 novels and a number of comics.